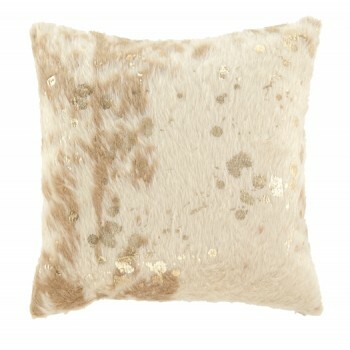 This faux fur accent pillow makes indulgence comfortably affordable. Masterful mix of cream and goldtone hues is a delightful change from the ordinary. Cozy feel is the essence of luxury living.